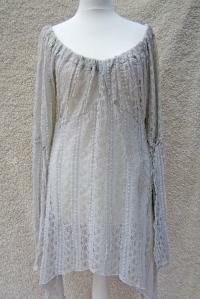 A very special lace-dress with lovely wide sleeves. the inspiration to this type of dress for me was the fashion of medieval maidens... This dress looks especially nice worn with a corsage!